The time to book your stand is now. 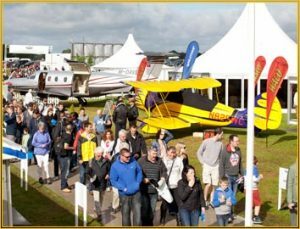 “Aviation has been at the heart of the Goodwood Estate since the 1930s, with my Grandfather, Freddie March, the 9th Duke of Richmond, being an enthusiastic aviator. He designed, built and flew his own aircraft here, and when the hostilities of 1939 began, he gave over land on the Goodwood Estate to the country to aid the war effort. The land became a Battle of Britain airbase, then known as RAF Westhampnett, and better known today as the Goodwood Aerodrome…. The Festival has played host to some of the world’s most famous racing drivers, including Jenson Button, Damon Hill and Lewis Hamilton (Pictured) as well as other well known faces such as Chris Evans and James Martin. 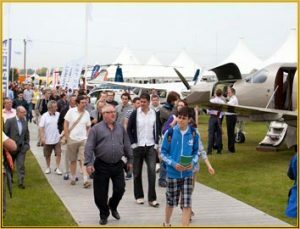 The Aviation Exhibition still has sponsorship packages available. The FoS provides a platform that can bring your brand to life in a meaningful and impactful way, and provides direct contact with affluent customers, and unforgettable hospitality experiences to build customer relationships. Sponsorship packages include complimentary tickets; ideal to entertain your corporate clients- or potential clients- in a unique way.